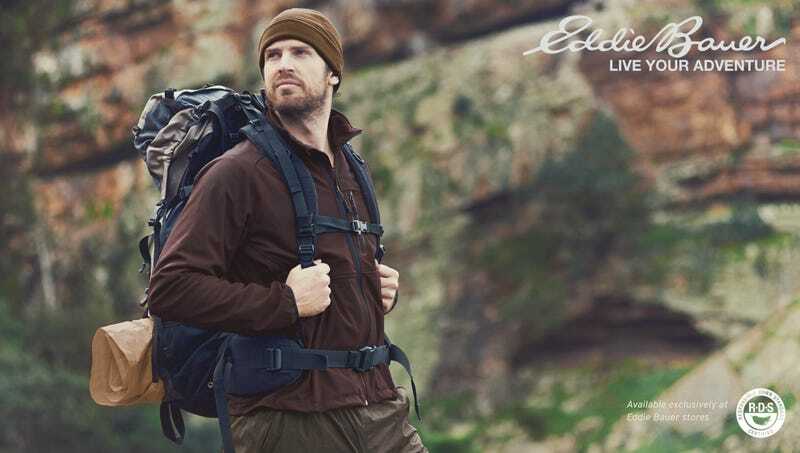 BELLEVUE, WA—In an effort to provide customers with a wide selection of shirts, pants, sweaters, and outerwear, retail chain Eddie Bauer announced plans Tuesday to release a brand-new line of brown clothes. “Since we pride ourselves on anticipating our customers’ tastes, we’ve designed this year’s collection around the concept of brown. Everything from the fur lining our parkas to the microfiber in our trousers—it’s all brown,” said Eddie Bauer Marketing Director Tina Aguilar, gesturing to a series of design boards upon which were displayed many varieties of bark, soil, twigs, woodland creatures, and various brown clothes previously offered by the outdoor-themed retailer. “That’s not to say we’ve given up on other colors. To strike the classic Bauer balance of style and functionality, we’ve accented many of the new items with khaki, russet, and chestnut as well.” Aguilar added that while the muted, earth-toned offerings were branded as a spring line, all brown apparel would available indefinitely.